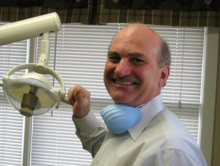 Dr. Courtney uses all of the latest products to maintain your dental health while practicing in a traditional style. He doesn't use a dental assistant so you can be assured of getting 100% of Dr. Courtney's attention at each and every visit. Restorations and cosmetic dentistry are performed with the utmost care, making sure to match color, thickness and the shape of the surrounding teeth. After all, you want to notice your smile, not your dental work! 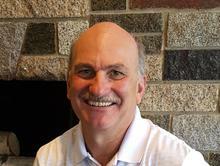 After graduating from the University of Rochester in New York, Dr. Courtney earned his dental degree at Boston University School of Dentistry in 1985. Dr. Courtney started his family dentistry practice in 1985 and has been treating patients like they were part of the family ever since. When Dr. Courtney is not at the office working on smiles, he enjoys spending time with his family, playing ice hockey, working in the yard and cheering on his "home team", the Buffalo Bills. 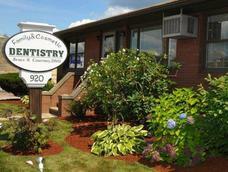 Located at 920 Second St. in Manchester, New Hampshire, our office is warm, personal and inviting. Committed to helping our patients achieve and maintain a healthy mouth and beautiful smile. Dr. Courtney will explain all of your treatment options and will help you decide what's right for you.